We've had a whole bunch of rain here lately. Last night was especially stormy. There was just enough lightening to light up the room, but not close enough to bring the baby dills running from their slumber. About 11 Mississippi's away. And the whole garden is vibrant and sprouting. Rain is good. It sewed up like a dream. I wondered if there would be an issue using a woven collar with the knit shirt, but it not only works, it fits like a glove. The only changes I made were to make it a high-low hemline instead of a band and I cinched up the arm bands with a bit of the woven fabric. Nice job, ladies on a great collection release! Pattern Anthology. Go. You'll want to check out all the designs. And then sew up half a dozen of each. SO comfy. Earrings-Jacaranda Designs; Pants-La Cité from Zulily; Bracelets-made by me; Boots from New York. It looks darling on you. Great job! I'm hoping the sewing industry gets a clue pretty quickly about plus sized women wanting to sew for themselves. The knitwear industry sure has. Time for the sewing industry to come around. Ann, I was going to say the same thing about Katy's lips! Is that weird? Katy, you have beautiful lips! Ha! Looks fantastic! I love the fabric and the cute cross stitch! Great alterations! 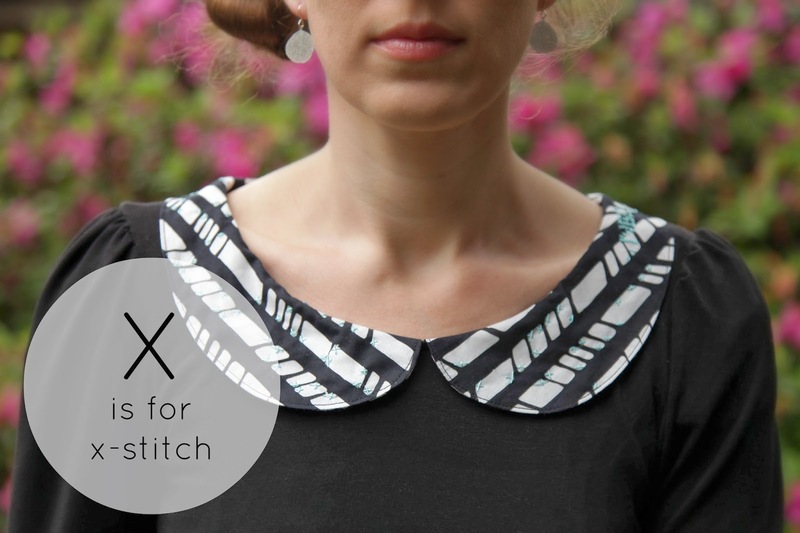 Love the changes you made to the hem You are lovely! I know, where did the time go?! Beautiful! I love it!! That collar is fantastic and I love the armbands. One question, though, um...you have sequined pants? As always, your cool factor is sky-high, lady! The pants I have on in the photos are sequin! 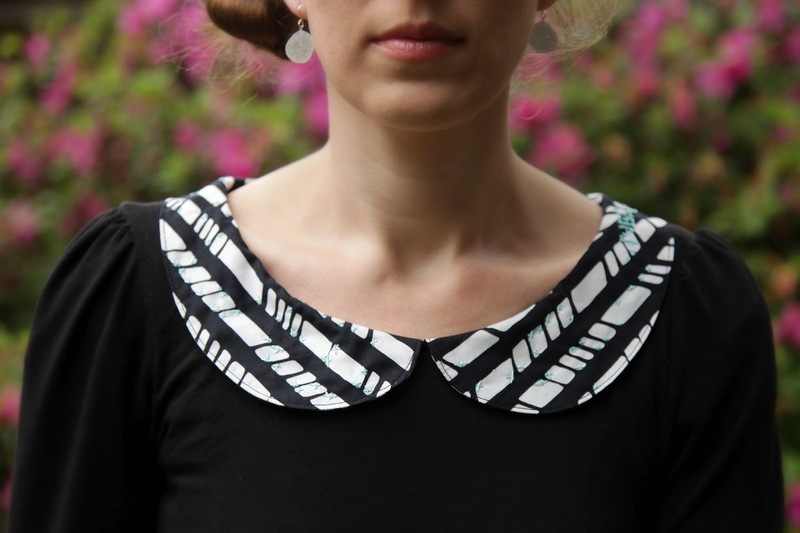 Lovely detailing Katy - thanks for sewing along! It was delightful, thank YOU! That is just lovely! And I am so glad it worked out whit a woven collor on a knit fabric! I`ll have to remember that! Buy the way, do you have SIX children?! Yes! 5 girls and one boy!